The hardest thing about being in direct sales is that you have hundreds of thousands of reps doing the same thing you are. Everyone is being taught by their upline and asked to duplicate it to every person who joins the company. 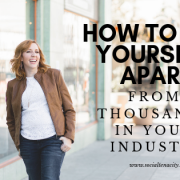 So how do you set yourself apart from thousands in your industry? The number one secret to standing out in your industry is to KNOW WHO YOUR AUDIENCE IS. This is so important because you will craft everything you offer according to who you are speaking to. If everyone is selling the same thing, you’ve got to get specific on who you are helping and how you can set yourself apart. 2. Find out what they NEED and that you can help them with. 3. Create something for them that is tailored to that need. Find a way to creatively use your products and services to create a package that is appealing to your ideal client. When I was in Scentsy, I used to put together bridal shower packages for people to gift their friends with who were getting married. People use to gift Scentsy all the time as a bridal shower gift and I sold this package A LOT! I also packaged together car kits so my customers could have nice smelling vehicles all the time. I simply took our hanging freshners and combined them with our room spray and offered the bundle. It’s really that simple. BeachBody: You can target new moms who are looking to go back to their pre-baby weight. So you can take the products and workouts and tailor them to fit new moms. Write up a daily plan on how they can use your products from BeachBody to help hit their goals and then offer them a community (Facebook group) where other new moms are all working toward their goals and can hop on once a week for a LIVE workout with you. 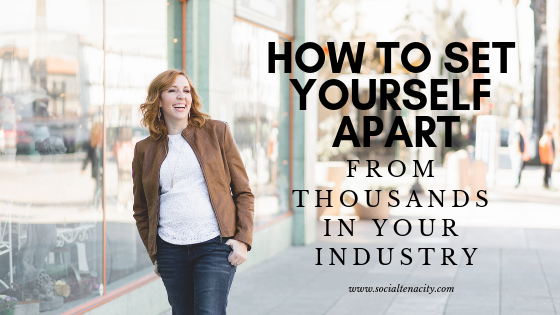 Get clear on WHO you are helping so you can set yourself apart in your industry! If you want to explore your ideal client further, tune into our podcast episode 11: How to Utilize a Avatar to Find Your Ideal Client.